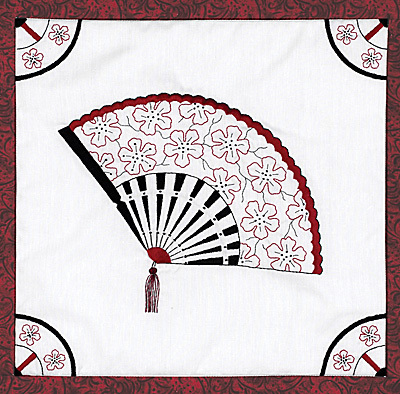 Oriental Fan is a New Stamped Cross Stitch Quilt Blocks. Colors of browns and black and white are a special favorite. Quilt will compliment any living room or bed room, seasonal or year round. 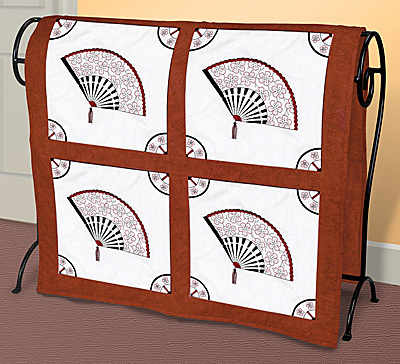 Use as bedding, a couch throw, or hang over a quilt rack for decoration.Designed by Sandy Garbrandt and made in the USA by janlynn. Package includes, 6 Screen-printed 18"x18' 50/50 polyester/ cotton broadcloth blocks, needle, graph and multi-lingual instructions.Design size 15"x 15"